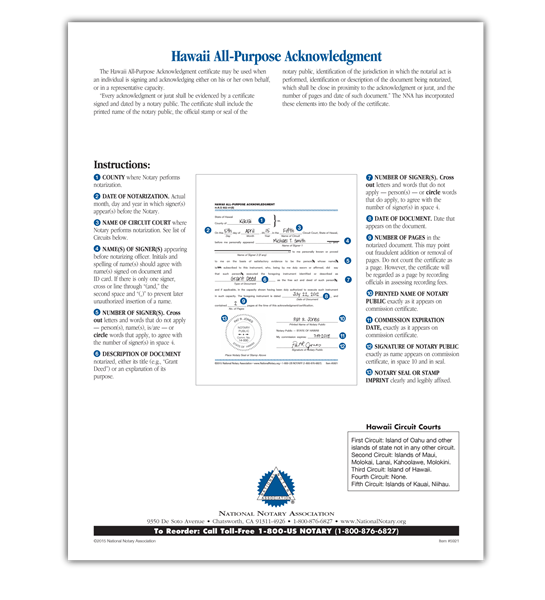 The Hawaii All-Purpose Acknowledgment certificate may be used when an individual is signing and acknowledging either on his or her own behalf, or in a representative capacity. Pad of 100 certificates. We're sorry. 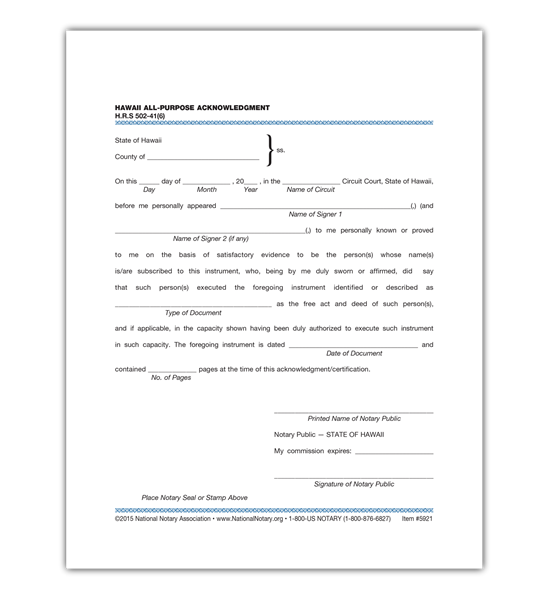 Hawaii All-Purpose Acknowledgment is not available for use by Notaries in Virginia. If the chosen state is incorrect, you may change your state at the top right of the page.